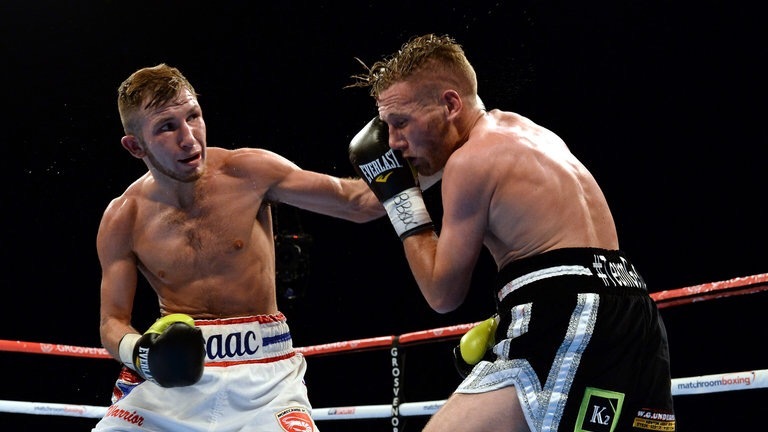 Isaac Lowe will defend his Commonwealth Featherweight title against Tshifhiwa Munyai at the Manchester Arena on September 24, live on Sky Sports. Lowe makes the first defence of the crown he won in the same venue in February when he stopped Marco McCullough in eight rounds on the undercard of the World title battle between Scott Quigg and Carl Frampton – with his clash with Munyai on the undercard of another huge unification blockbuster between Lightweight World kings Anthony Crolla and Jorge Linares. The unbeaten Morecambe man faces a huge step-up in class against the South African, who returns to the venue of his World title challenge against Quigg in April 2014. ‘The Atomic Spider’ won the Commonwealth Bantamweight title in England in 2006 against Martin Power, defending it against Lee Haskins and in a rematch with Power. Munyai last three outings have been stoppage wins in Lancashire, and the 31 year old has a huge experience advantage over Lowe, ten years senior to the champion and 19 more pro bouts under his belt. Lowe’s clash with Munyai is part of a huge night of action in Manchester as Crolla and Linares lock horns in a mouth-watering unification battle for the WBA and WBC Diamond World and Ring Magazine Lightweight Championships. Tickets are on sale now priced at £40, £60, £80, £100 and £150 and available from the Manchester Arena at http://www.manchester-arena.com or by calling 0844 847 8000. VIPs tickets are exclusively available through http://www.matchroomboxing.com priced at £250.